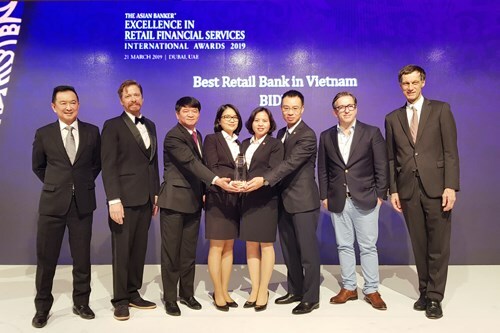 Hanoi (VNA) – The Bank for Investment and Development of Vietnam (BIDV) was named the Best Retail Bank in Vietnam for five consecutive years by The Asian Banker Magazine. Last year, the bank paid due attention to promoting modern distributing channels and became a pioneer in applying the achievements of the Fourth Industrial Revolution to meet the diverse demands of the customers. Its prominent products include BIDV SmartBanking featuring virtual assistance, QRPay, online currency trading, BIDV Pay allowing customers to withdraw money at ATMs without cards, among others.